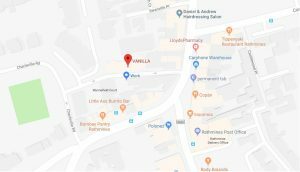 Introducing the Power Blow Dry at Vanilla Hairdressing which is only €47.00. It includes a shampoo wash, Kerastase Fusio-Dose treatment and blow dry to leave your locks looking luscious! 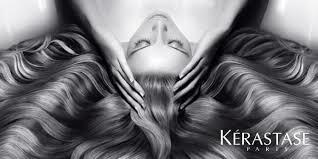 Enjoy the skill of your favourite hairdresser assisted by Kerastase proven in salon rituals treatments. This unique sensorial experience will reveal the true beauty of your hair. First of all your stylist will do a diagnosis to determine the right products for your hair type and needs. Then through the precise application of the concentrated formulas will reveal a real hair transformation. Volume blow dry – To fight the flop!! A breakthrough technology instantly injects fine hair with a tri-dimensional network to leave it looking denser and full of volume. Smoothing blow dry -Immerse your hair with nourishment to defend against humidity. A powerful combination of three ultra-refined oils and ceramides to transform your thick, unmanageable, voluminous hair, into hair that is smooth, controlled and noticeably ‘slimmed’ down. Scalp rebalance -Soothe and protect your scalp with breakthrough synbiotic technologies. Scalp irritations will be soothed, your scalp will be better safeguarded against future issues and your hair will feel refreshed and rejuvenated. Colour boost blow dry-The perfect post-colour boost to leave your coloured hair fully refreshed and infinitely shiny. Error: Error validating access token: Session has expired on Wednesday, 19-Dec-18 04:50:45 PST. The current time is Saturday, 20-Apr-19 11:12:36 PDT.